When the sun sets on the Indian Ocean in the Maldives, a whole new world is revealed. The skies are dark, the sprinkling of constellation is clear. The moon casts a silvery hue on the navy blue waters. And if you happen to be snorkelling or scuba diving at night, you may see some faint colourful lights beaming and flashing along an unmistakable rhythm underwater. *Urban Dictionary has defined “Unce” as the written form of the sound heard in night clubs. 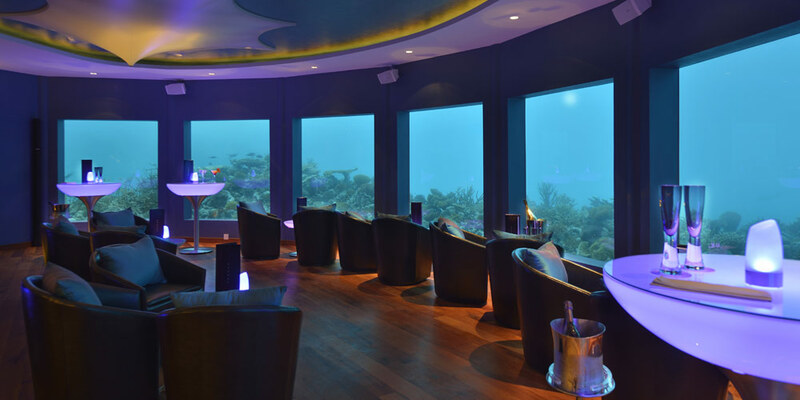 Maldives is home not only to pristine waters and marine life, but also to Subsix, the world’s first underwater nightclub. 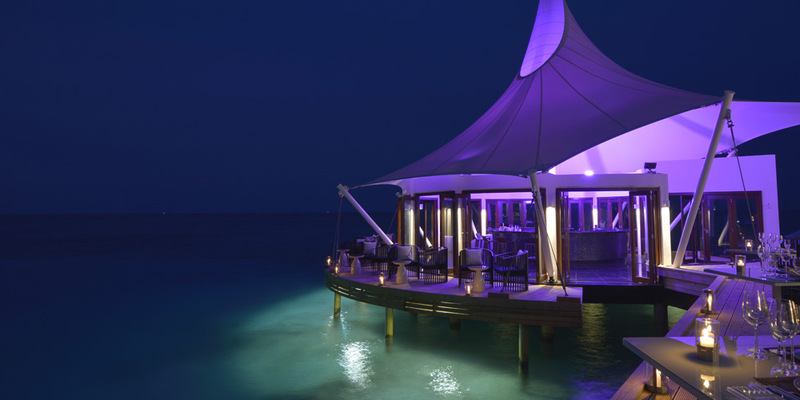 Per Aquum’s NIYAMA has an overwater bar located roughly 500 metres by water from the main resort. Speedboat transfers are available on demand for guests staying at the resort. 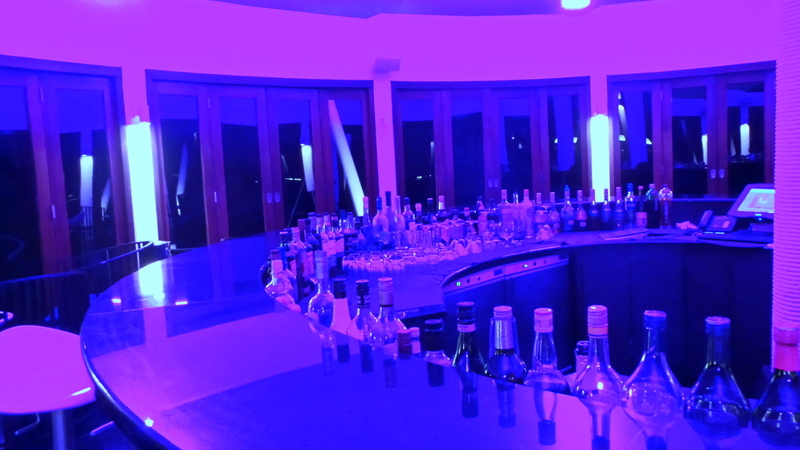 Yes the lighting inside the bar really was ultraviolet- violet. 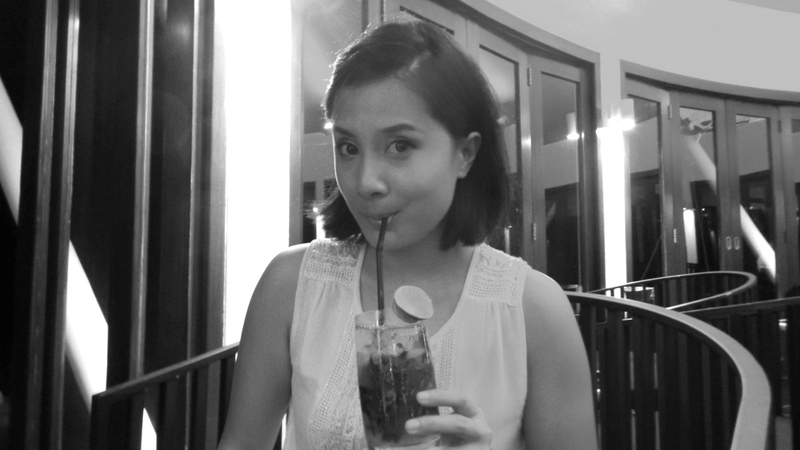 Thankfully, they have the best non-alcoholic Mojito. Packed with mint just as I like it. The very friendly staff from Edge bar who escorted us to Subsix, also blasted the sounds for us. Zombie got to test his multi-tasking skills of DJ-ing and photographing. At the time, there was also an underwater exhibition. Whimsical photographs of fairytales. So seeing that, alongside many fish and marine life that only come out at night (and also come close to you as they are attracted to the light), can be very trippy. 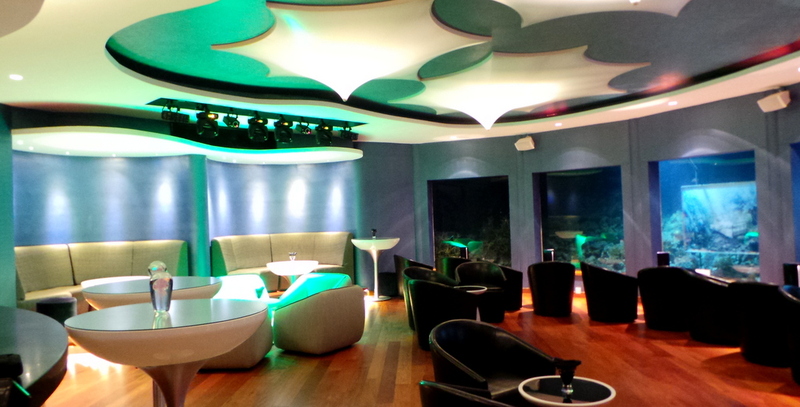 They first constructed the bar on land, and then only later submerged it 6 metres below sea, to minimise coral damage. And if you’re going to be gyrating under the sea at night, the least you could do is be well dressed. Dress code is smart casual, including footwear. Otherwise the fish will disapprove. 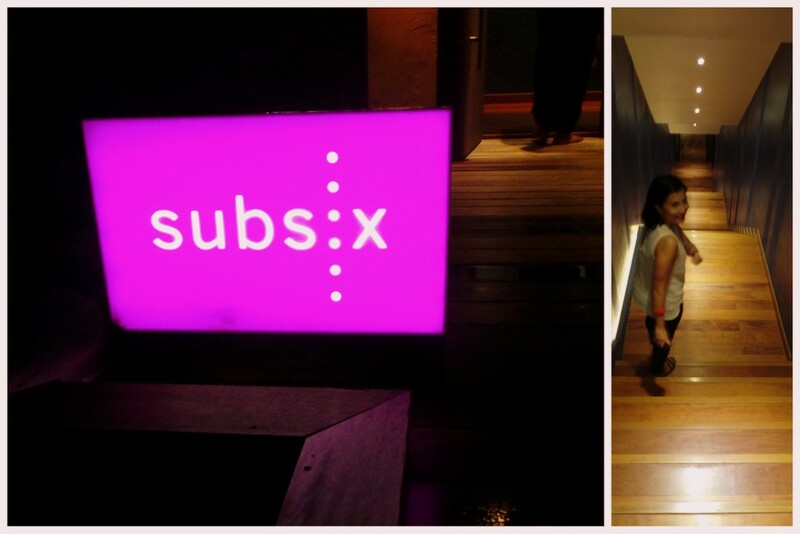 Even if you’re not a clubber, or a really bad dancer – a visit to Subsix when in the Maldives is definitely a must. 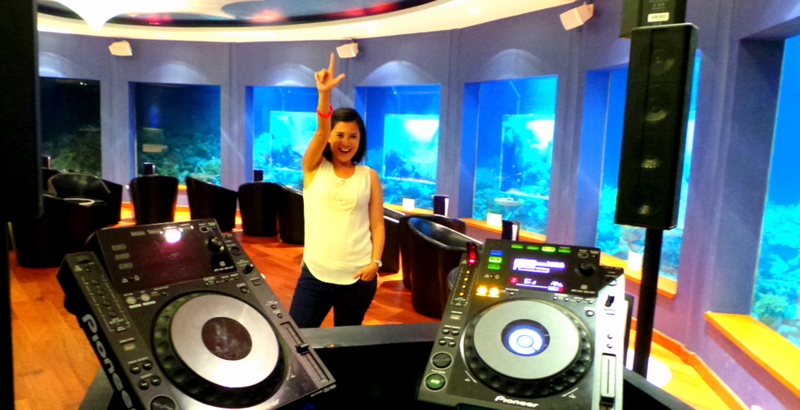 How many times, after all, can you say that you’ve gone clubbing six feet below the Indian Ocean? NIYAMA Airport Lounge in Male, Maldives Resort Review: Huvafen Fushi Maldives A Japanese Degustation Experience in Huvafen Fushi Maldives Underwater Spa in Huvafen Fushi : The Ultimate Indulgence in the Maldives Underwater in the Maldives with the Sony HDR AS30V Caramoan Underwater is To Die For. Seriously. This looks l like a really cool experience! I like that they built it above ground first. I wonder how busy it gets typically. Yep me too, I like that they did it with minimal damage to corals! It’s open only 4 nights a week, as we were leaving, the ‘real’ party people were heading down. I imagine it can be packed on special occasions like New Years. Can anyone have entrance to the underwater subsix club? Or do you need to stay at the resort? Hi Yasmini, Subsix is in a separate island from the resort and I remember the boat had other people from different resorts. Just an update that Subsix is now a restaurant, not a club.